Sturbridge...Dolores M. Courtemanche (1935) of Willow Ave., died November 18, 2018, at The Meadows of Leicester. She leaves many cousins, including Frances Hoginski of Dover, NH, Joyce Dragon Metzer of Hampton Bays, NY, and Patricia and Carol Trainor of Marlboro, NY. Dolores was born and raised in Southbridge, daughter of George W. and M. Blanche (Dragon) Courtemanche. She graduated from the former Mary E. Wells High School, Class of 1953, Southbridge, and attended Clark University. She was a reporter for the Worcester Telegram & Gazette for 36 years where she worked in the features department. For several years, she wrote restaurant reviews. In 2000, Dolores celebrated the new millennium and her retirement in front of London's Big Ben. Through the years, she continued to travel. She visited England, France, and Italy several times. She also travelled to New Zealand, China, Russia, the Galapagos Islands and Alaska. She was active with Worcester's Hope Lodge for a decade and was a trustee at the Joshua Hyde Public Library for many years. She was active in the Saint John Paul II Parish where she was a member of the choir. 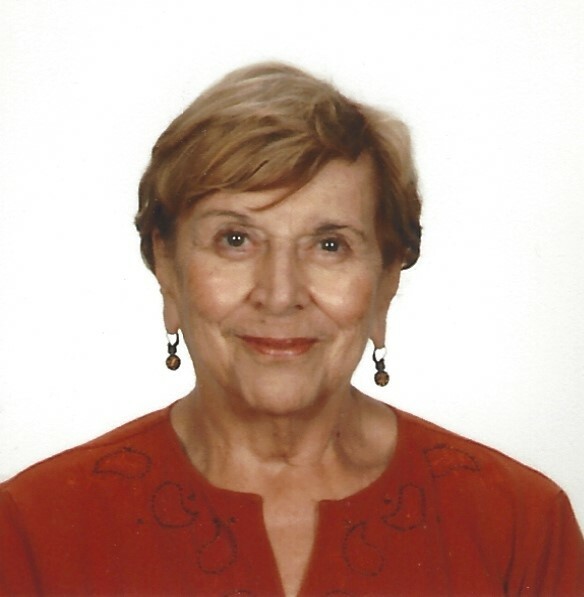 Dolores was a past president of WISE (Worcester Institute for Senior Education) a living and learning institute associated with Assumption college where she enjoyed taking courses, attending lectures and special events such as taking trips to museums and attending concerts and the theater. The funeral Mass will be held on Wednesday, November 28th, at 10AM at Saint Mary's Church (please meet directly at the church) 263 Hamilton Street, Southbridge, MA 01550. Burial will follow at St. George Cemetery, Paige Hill Road, Southbridge. In lieu of flowers, please consider a donation in Dolores' memory to St. John Paul II Parish, 279 Hamilton Street, Southbridge, MA 01550, or Joshua Hyde Library, 306 Main Street, Sturbridge, MA 01566, or WISE (Assumption College, 500 Salisbury Street, Worcester, MA 01609.